Tokai Forum - a subsidiary of TokaiRegistry.com :: View topic - How to Date Burny SG? How to Date Burny SG? 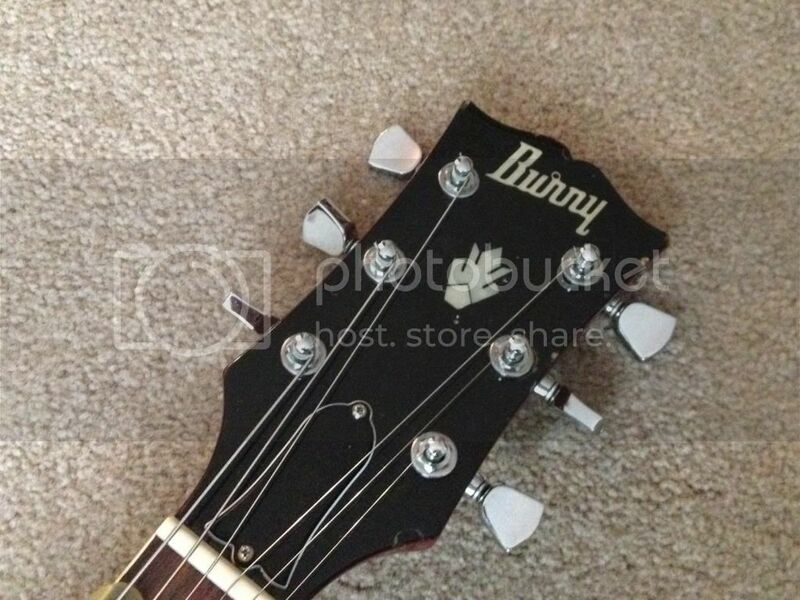 Posted: Sat Feb 09, 2013 5:04 pm Post subject: How to Date Burny SG? 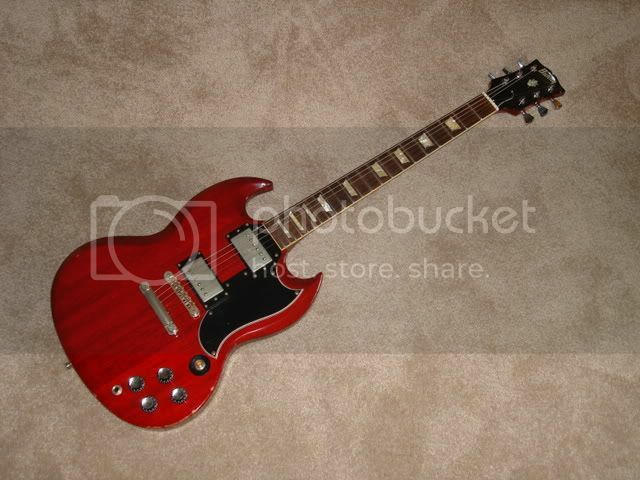 I'm forced to consider selling my Burny SG. I believe it is an '84...but how do you date them? EDIT: Also, what's the going price? It's naturally recliced and no museum piece by any stretch. A good amount of chips dings, tarnish, etc, but sounds amazing. I'll do that...although I'm pretty sure I replaced the pots. A shame, the pots are the no1 identifier. Kept them somewhere? No such luck. I installed new CTS pots and OD caps. Don't have the originals. Hope this helps. I'll take pics of the pickup cavities soon. I have no reason to doubt it's a 1984 model, but it would be nice to confirm. 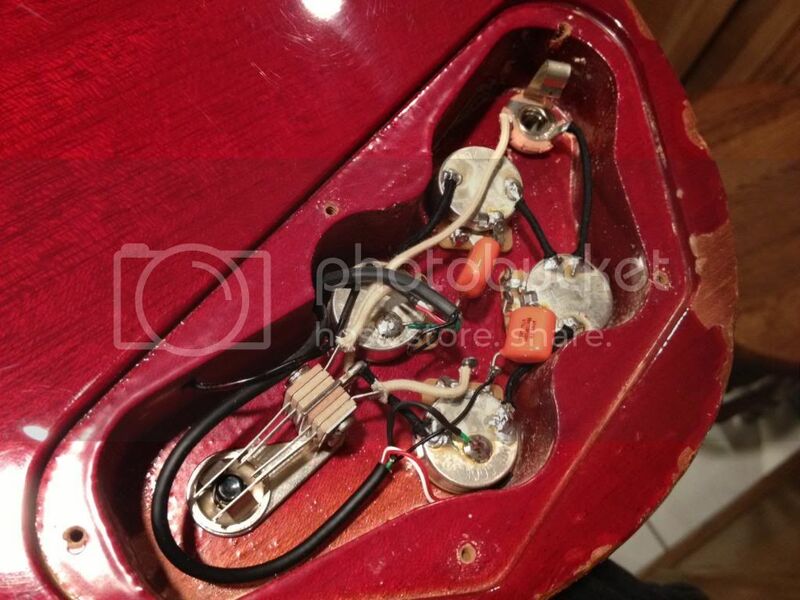 can not remember when they start useing the broken crown on the head stock .. The split crown appeared around -87 if I remember correctly. I haven't got energy to find out the exact year but sometime around -87.